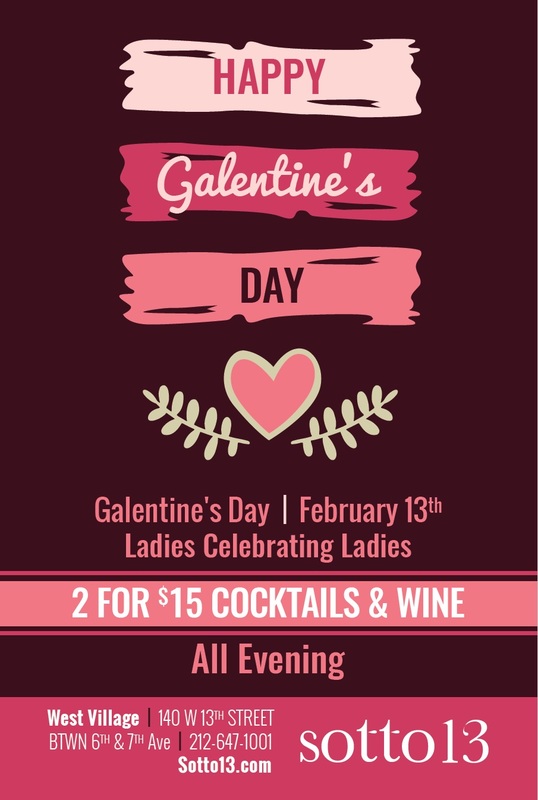 Feb 13th is Galentine's Day! Valentine's Day at Sotto 13. Reserve Now.